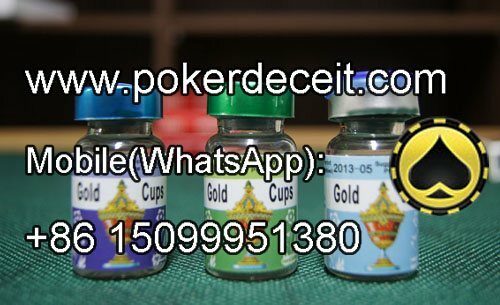 About how to cheat at cards, if you are a cards shark, this is a very simple to you as you know what kind of tools and ways you can cheat at poker game, however, if you are a newbie, maybe below message can give you some information. Why to cheat at poker card games? To win! When in playing card games, the winning are can't be guaranteed and most of people just lose a lot in short time. Which is because the poker player can't know the cards distribution and predict the result, they only make a bet rely on the intuition and lucky (this is entirely imaginary). But for a veteran player, he will know what tools can help him to get winning. There is no doubt that card cheating technique is necessary to cheat in card games, but not all people can master the skill perfectly, because it requires too much, whatever time and money. If you have the magic card cheating trick tools, it will be convenient a lot. Below are some tools used a lot in card cheat. 1. The invisible ink marks will invisible and the marked cards are same as the regular on from appearance when you look at them with naked eyes. 2. The luminous ink to mark the marks is only visible with the ultraviolet ray within the specturm range. The luminous ink readers have many types, but in general, there are 4 types of readers use commonly. 1. UV marked cards contact lenses. This special poker card reader is developed to see the luminous ink marks on marked cards. 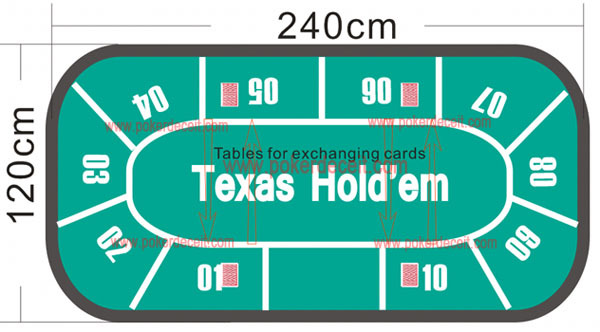 With them, you can read the marked cards markings very clearly. 2. The UV ink sunglasses to see playing cards. From the appearance, it just a regular playing cards and very fashionable. However, after you wear them, you can detect the UV ray easily and can read the ultraviolet markings conveniently. 3. The barcode cards scanner. The poker camera scanner kit needs to work with the poker analyzer. 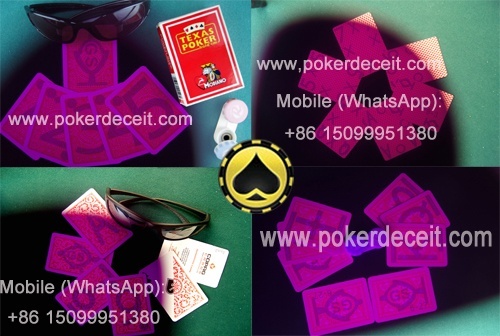 This barcode marked deck cards will auto catch the invisible ink barcode on the marked playing cards and transfer the date to poker analyzer, after the analyzing, user can know the accurate poker game result in secret. 4. The infrared poker camera. This one is not the one for poker hand analyzer. 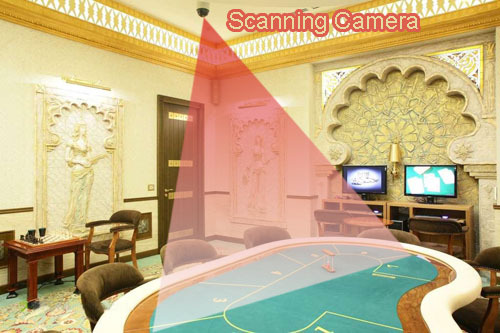 The infrared poker camera are use to detect the infrared juiced cards only, if the infrared poker camera read the markings on the backs of magic marked cards, you can see the value and suit of each piece of cards on a video displayer. Usually, this device used widely for poker casino to monitor the poker room to prevent others to exchange the cards during the poker games. Just as its name suggests, exchanging the cards, when in the poker game, no one can guarantee that the cards they get are all the good one. At that time, with the exchanging tools, you can change the useless cards as the beneficial one. Of course, before you use this tool, you need to confirm that there is no infrared poker camera is monitoring and you need to practice to get used to it. By this way, you no need to use any extra tools, just your skillful hand. 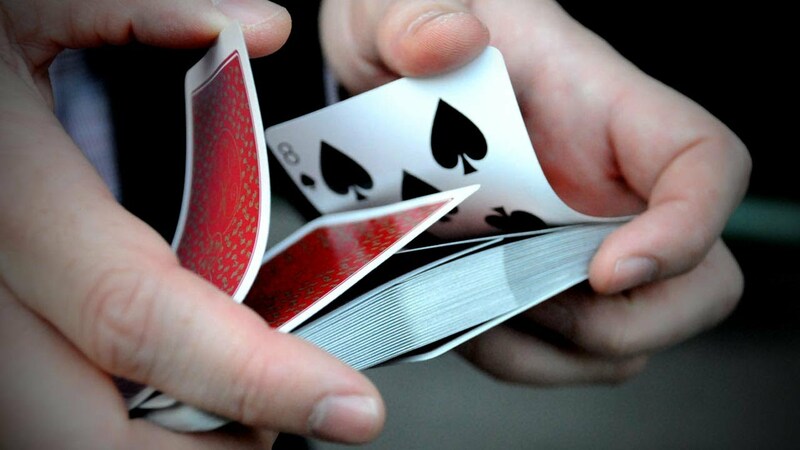 You need to pay a lot of time, maybe several years to practice how to shuffle and list the cards you want during shuffle in front of many many players while can't let them to find any secret. Different ways have different pros and cons, but no matter the easy one or skillful one, you can know and get them from our company.